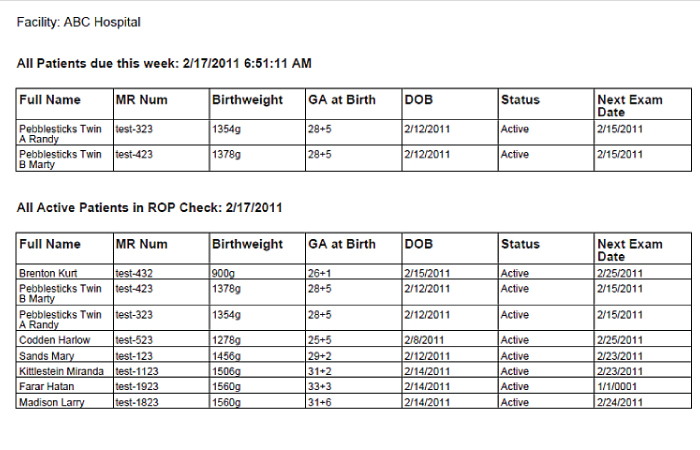 Automatically schedules the first ROP exam according to AAP guidelines or your own customized criteria. 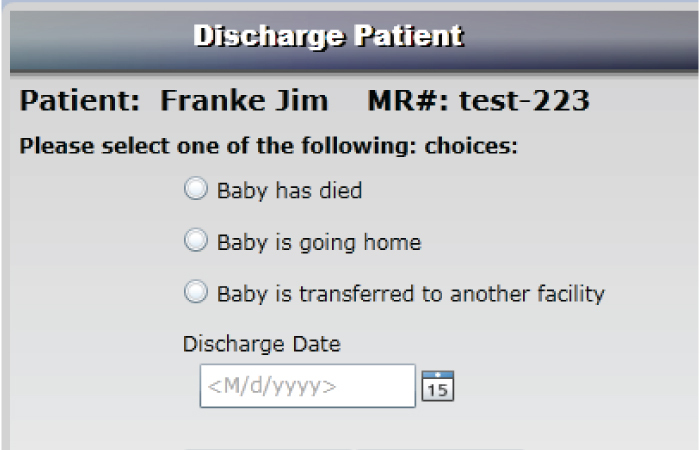 Decision support based on guidelines is also included for follow up exams and discharge. 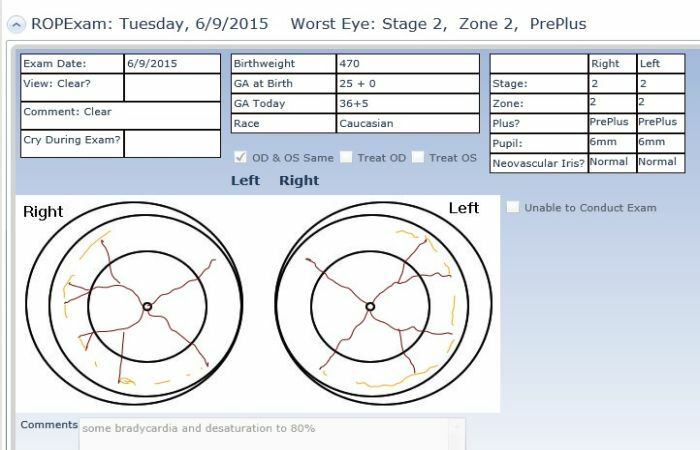 Allows you to draw the eye vessels using color and document the exam just as easily as if you were using paper. Afterwards you can print as many copies of the exam summary as you need. 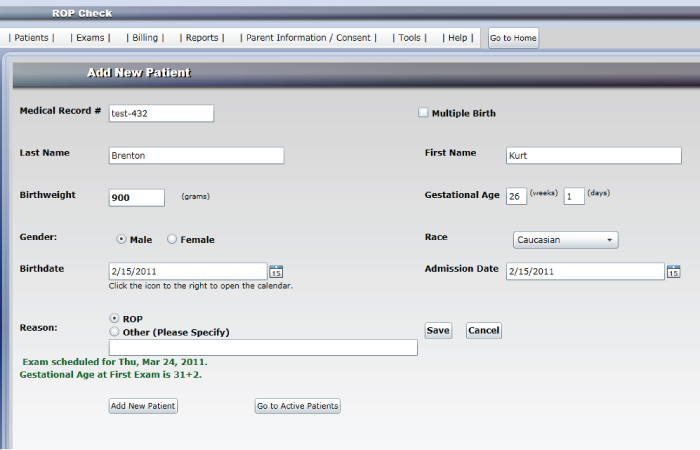 Enter the billing for your exam and include the billing codes on the printable full consult report. Generating reports such as the one used by the Vermont Oxford Network has never been easier. ROP Check is proven to be the best and most convenient patient care model for ROP. Perfect (100%) execution for babies meeting criteria for an exam in > 100 patients. This compares to a benchmark standard of 66%-73% in the Vermont Oxford Network. Capture of an additional 50% of patients using AAP criteria that captures infants 31-32 weeks gestation that are at risk for ROP because of prolonged oxygen need or respiratory illness. This includes 2% of such babies that may need treatment based on our data. No patient discharged in the last 2 years without documented follow-up and without knowledge of the examining ophthalmologist. This includes a single infant needing laser treatment after discharge. ROP Specialists Prefer Using ROP Check Over Any Other Protocol! 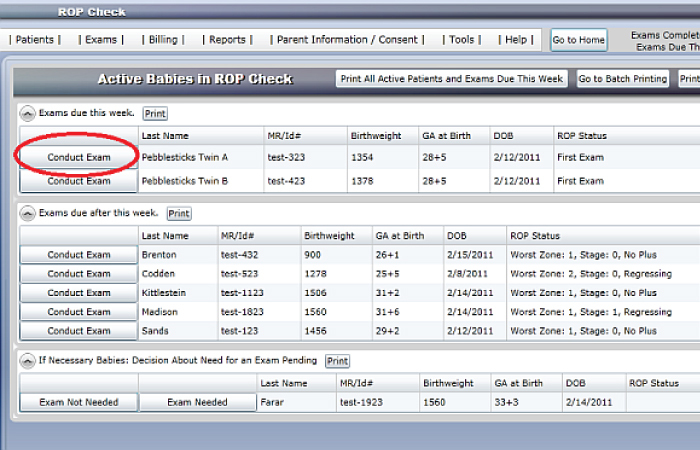 Offering ROP services to a NICU has never been easier or less risky!